Kirk Douglas signs on actress Lilly Greco's belly. Venice Lido beach, summer 1953 (Photo by Archivio Cameraphoto Epoche / © Carlo Pescatori). 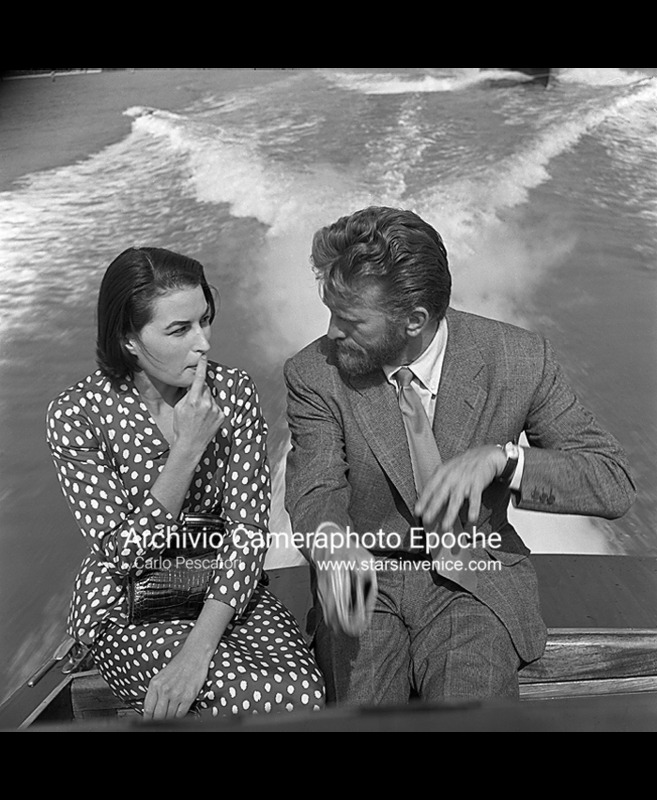 Kirk Douglas signs on the thigh of paintress Novella Parigini, who wears a strapless bikini and round earrings. Lido beach, Venice 1953 (Photo by Archivio Cameraphoto Epoche / © Carlo Pescatori). Kirk Douglas lifts paintress Novella Parigini and actress Lilly Greco, who wear strapless bikinis. Lido beach, Venice 1953 (Photo by Archivio Cameraphoto Epoche / © Carlo Pescatori). 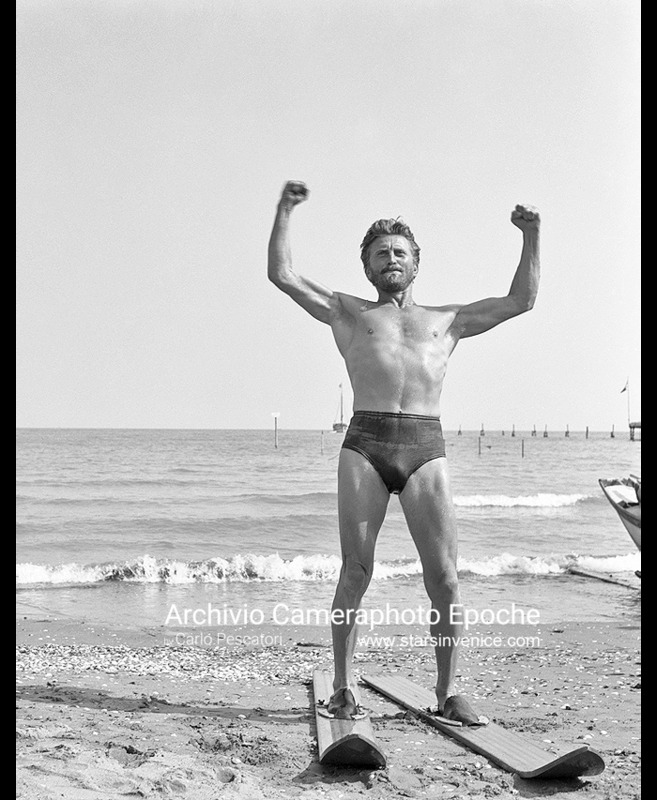 Kirk Douglas stands on Venice's Lido beach and holds a ball, Venice 1953 (Photo by Archivio Cameraphoto Epoche / © Carlo Pescatori). 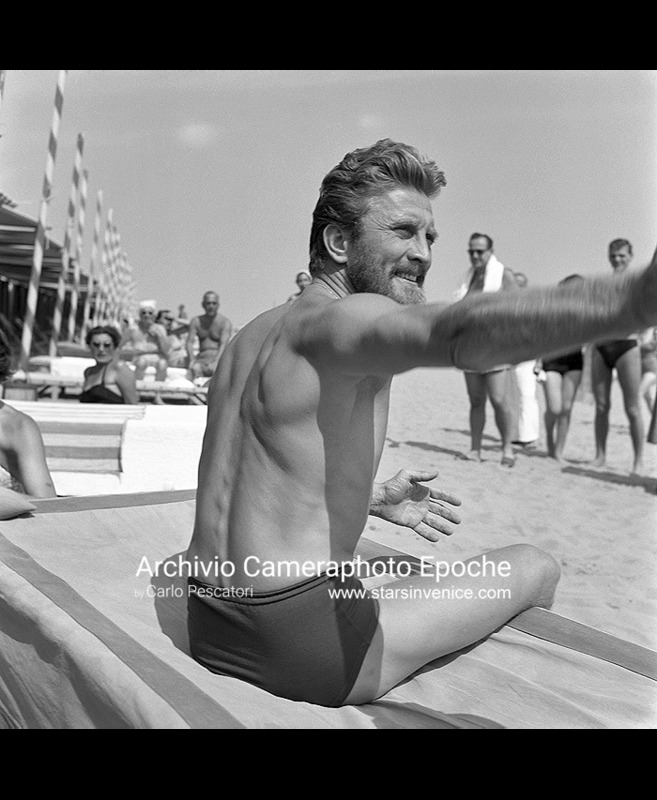 Kirk Douglas sits on a Lido beach sunbed, Venice 1953 (Photo by Archivio Cameraphoto Epoche / © Carlo Pescatori). Kirk Douglas signs an autograph to a kid, on the Lido beach, Venice 1953 (Photo by Archivio Cameraphoto Epoche / © Carlo Pescatori). 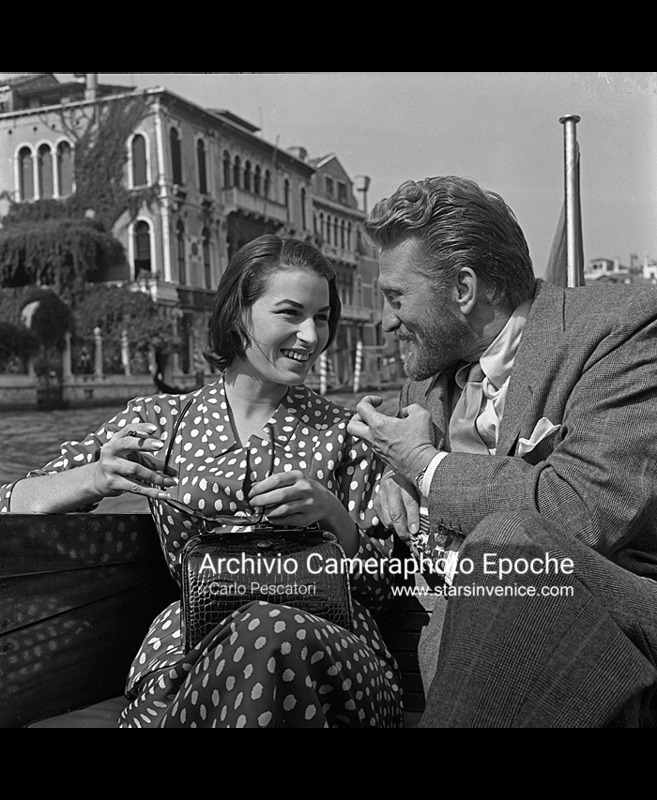 Kirk Douglas signs autographs to some girl fans, Lido, Venice, 1953 (Photo by Archivio Cameraphoto Epoche / © Carlo Pescatori). 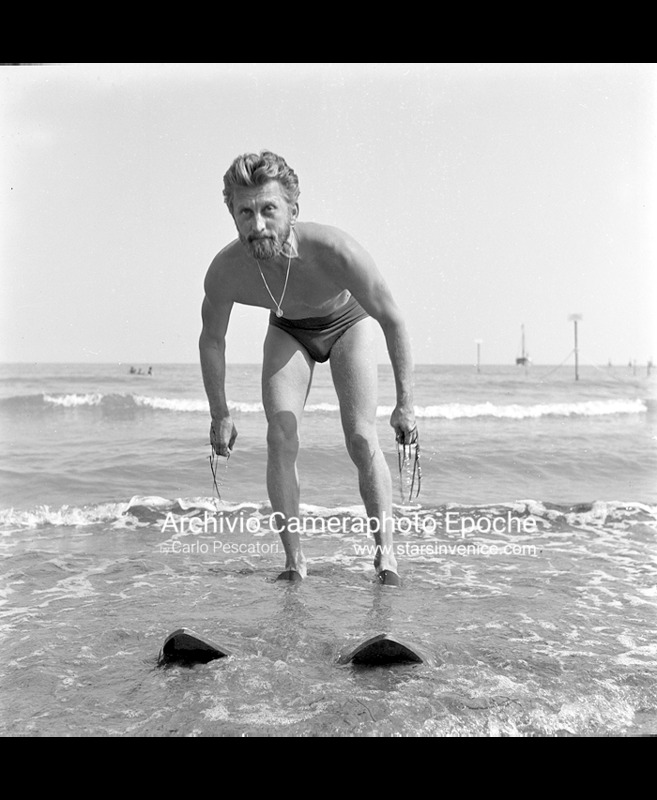 Kirk Douglas with waterskis on the Lido beach, Venice 1953 (Photo by Archivio Cameraphoto Epoche / © Carlo Pescatori). 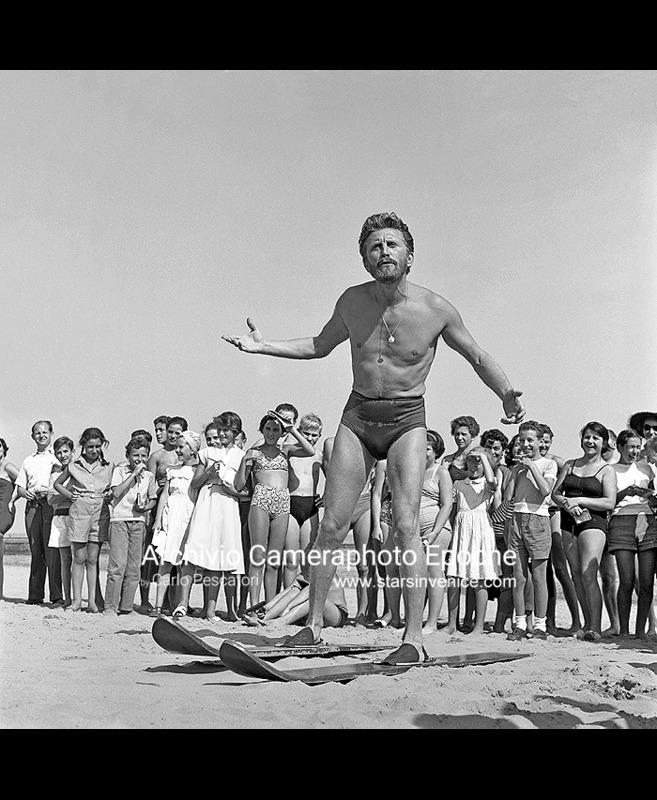 Kirk Douglas wears waterskis surrounded by kid fans on the Lido beach, Venice 1953 (Photo by Archivio Cameraphoto Epoche / © Carlo Pescatori). Kirk Douglas removes seaweeds from his waterskis. Venice Lido beach, summer 1953 (Photo by Archivio Cameraphoto Epoche / © Carlo Pescatori). 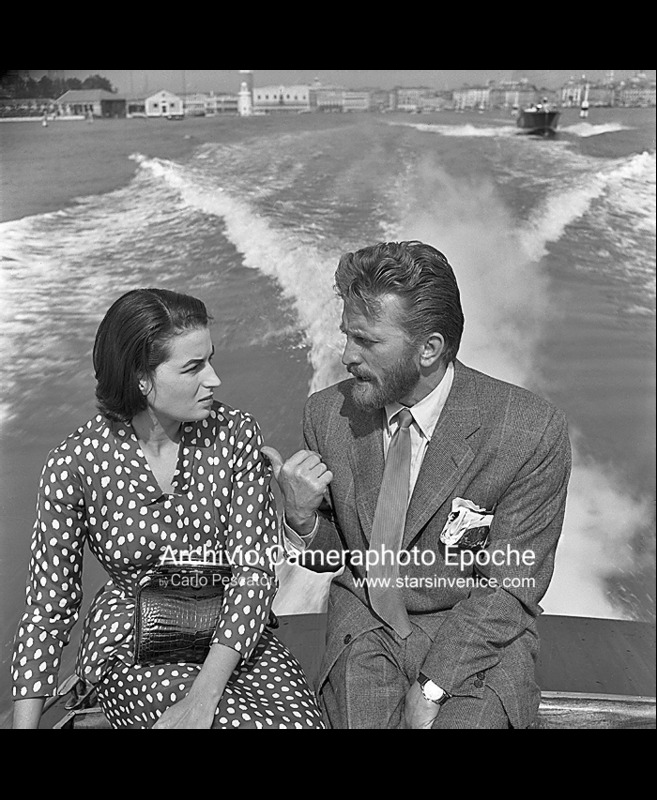 Kirk Douglas walks on Cannes beach with actress Anne Baxter who wears a dress and sunglasses, Cannes, 1953 (Photo by Archivio Cameraphoto Epoche / © Carlo Pescatori). 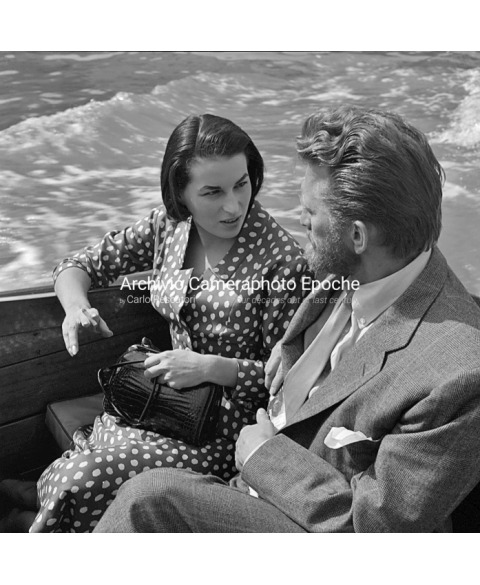 American actor Kirk Douglas walks on the Lido seashore with an indian actress, Venice 1953 (Photo by Archivio Cameraphoto Epoche / © Carlo Pescatori). 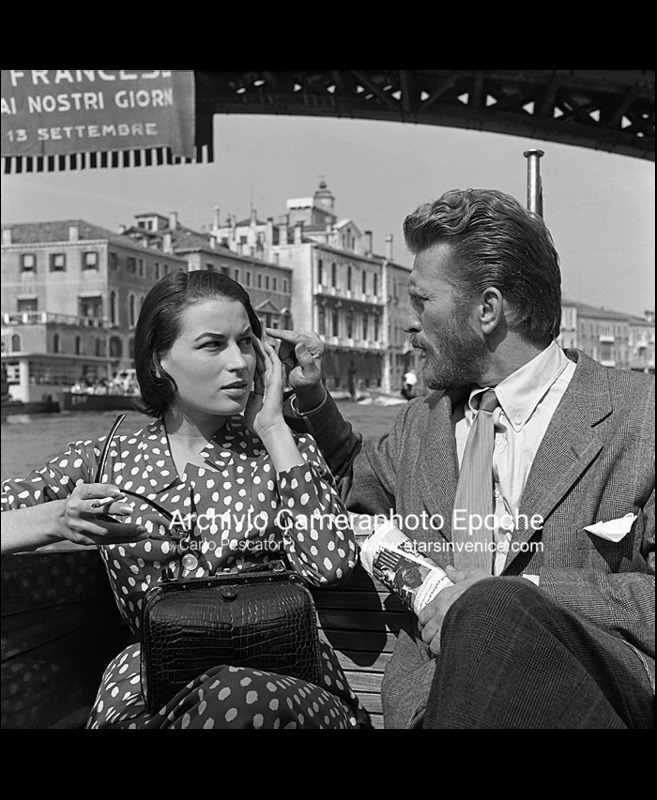 Kirk Douglas portrayed with actress Helene Portello on the Excelsior Hotel beach, Venice 1953 (Photo by Archivio Cameraphoto Epoche / © Carlo Pescatori). 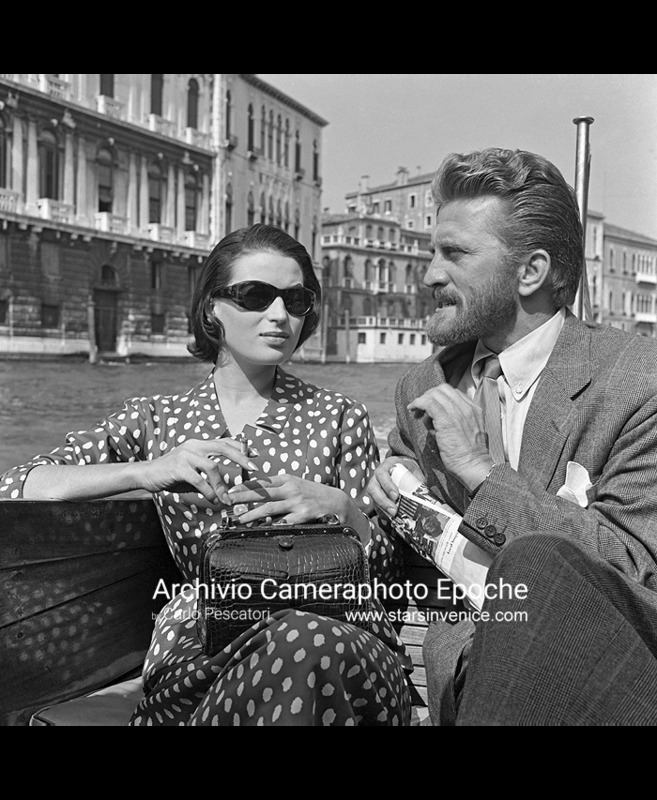 Kirk Douglas and actress Helene Portello on the Excelsior Hotel beach, Venice 1953 (Photo by Archivio Cameraphoto Epoche / © Carlo Pescatori). 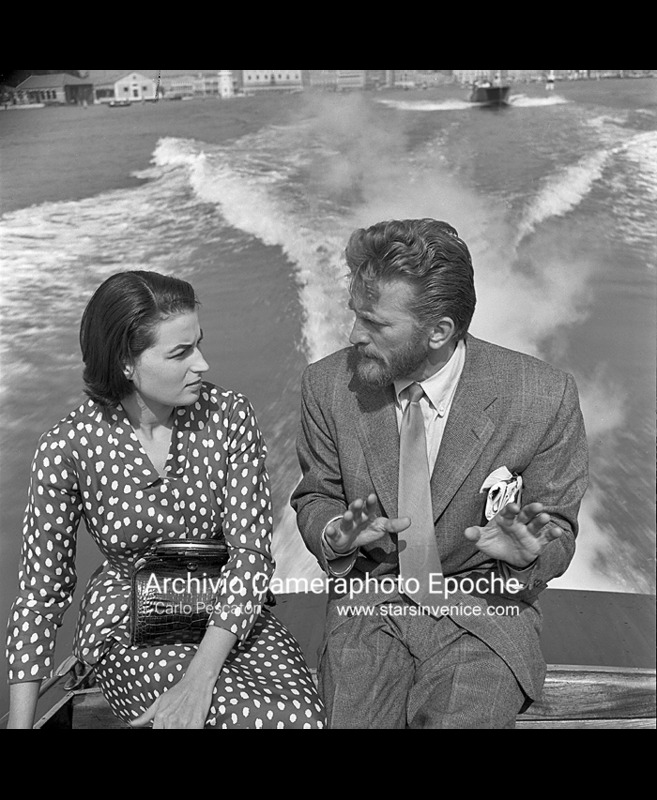 Kirk Douglas talks with Silvana Mangano on a taxi boat along Grand Canal in Venice, 1953 (Photo by Archivio Cameraphoto Epoche / © Carlo Pescatori). 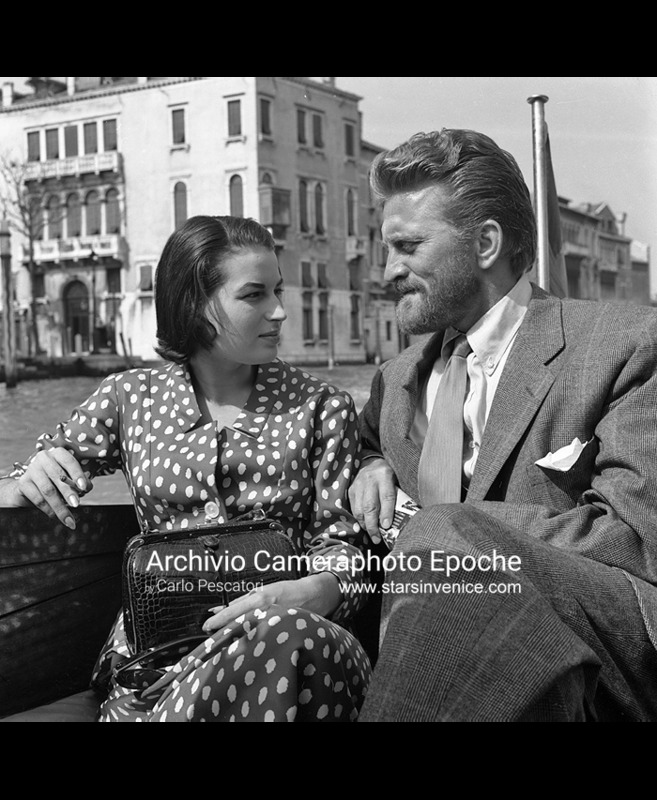 Kirk Douglas talks with Silvana Mangano who sits on a beach chair, Venice Lido 1953 (Photo by Archivio Cameraphoto Epoche / © Carlo Pescatori). 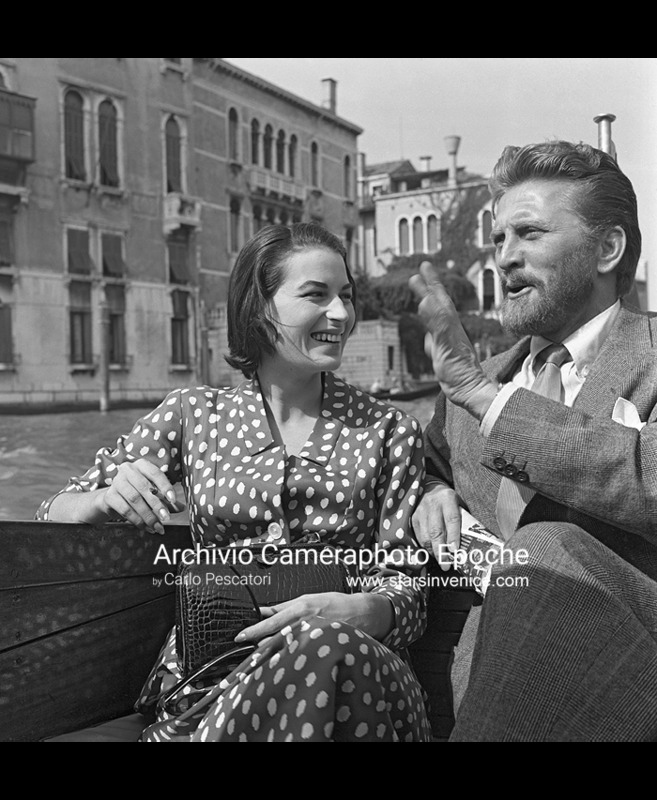 Kirk Douglas sits on a water taxi next to Silvana Mangano on the Canal Grande, Venice 1953 (Photo by Archivio Cameraphoto Epoche / © Carlo Pescatori).